I work with many clients who face the need to care for elderly family members. Many have aging parents, grandparents or an elderly aunt or uncle whom they are responsible for as these older family members are declining in their ability to care for themselves independently. This can generate a great deal of stress for you, the caregiver understandably and having some systems in place can assist in the process of providing care while also keeping your own self care in balance. The aging process can be a difficult and challenging time; people’s abilities and needs change, which can be hard to come to terms with. It is, therefore, most important that you do what can to help yourself and your loved ones lead a happy and fulfilled life during these years. 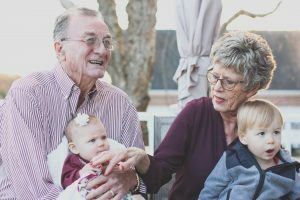 The following are some ideas for ways you can ensure your elderly family member is receiving the necessary support while keeping your own mind and life in a state of balance. 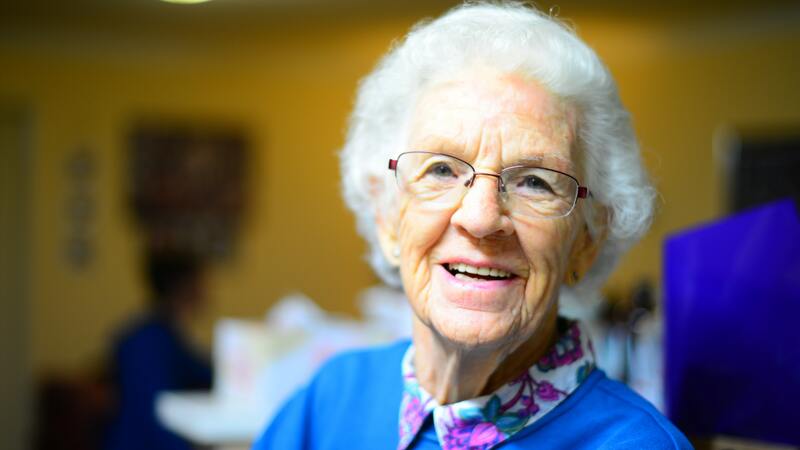 Moving your elderly family member to a care facility. When an elderly family member is struggling to cope with day-to-day life it may be time to get them the right professional support, treatment, and care. This can be a difficult decision and it’s common to feel sadness and guilt when it becomes apparent an older relative needs to go into a care facility. Be sure you have your own support system and perhaps speak with a professional counselor who understands these challenges. It’s often difficult subject to broach with your aging relative, but you need to know when it’s the right time for a move into a nursing home or care facility. Do your research. Tour facilities. Pay close attention to the how the staff interact with the residents. Do the residents seem well cared for? Does the facility seem clean and tidy? Is it a relaxed and cheerful environment? Be sure you look for referrals and recommendations from people you know and trust. Once you’ve located one or two facilities you believe are a good fit, you can introduce the idea to your elderly family member gently and reassuringly and you can steadily encourage your them by talking about the regular activities they’ll be able to do and the company they’ll keep. Reassure them that you’ll be able to visit them regularly and that you will help them to adjust to the idea. One you’ve moved your elderly family member into a nursing home or assisted living facility it is very important to ensure regularity and consistency of your visits and encourage other family members to visit regularly as well. Commit to going the same day and time every week and bring your children or nephews and nieces to visit on a regular basis as youthful energy can boost the spirits of your senior family member. Stay well informed and organized regarding medical matters. As your aging relative may not have the mental faculties she once had, it may become your job to pay close attention to all the details of her medical status and needs. Keep track of doctor’s appointments and go with her. Ask the doctor questions, take notes and be sure you fully understand all health care concerns and instructions. You will want to be organized and well informed with regard to any medications she is taking. Keep a chart and use a system for ordering any pills, times taken, and take notes about side effects observed. You may need to order medications or diabetic supplies online, and you’ll need to stay vigilant and be aware of any changes. Setting up a system for online prescription renewal with a company such as ExpressScripts through insurance can ensure the medications will always be delivered on time. This level of organization, consistency of care and attention that you give your elderly family member will be reassuring for her, helping to manage the stress you may feel about this large responsibility. Keep your aging family member connected to the family. Very often, an older person’s biggest fear is being forgotten and left on their own for long periods of time. It’s proven that the more interaction with others that people have, the better their mental health becomes and their cognitive function improves and can fight the aging of the mind. Therefore it’s vital that your elderly family members remain engaged and integrated with the rest of the family’s conversations and activities. Keep inviting your senior relative to get-togethers and outings; make sure you make allowances for any health and mobility issues, but involve them in those events as much as possible. Since eyesight often fails as we all grow older, you might print photos of family members in larger size images and create a collage for her wall where she can see the smiling faces of all the family members. Have regular conversations in which you invite your aging family member to tell you stories of her life. It can be enjoyable for you and for her to reflect on the history of her life. It’s important to reflect aloud how she really contributed to so many people’s lives in the family and community over the years, helping her to remember and feel positive about the importance of her life. Attend to your own self care and keep your balance. As a caregiver you are at high risk of compassion fatigue.It is vitally important you develop a PLAN for your own self care. Schedule time for you to unplug from your responsibilities and plug into to your own mind, body and spirit. Be sure you are setting aside time for your own fun, physical activity and block off time for journaling, meditation, or whatever helps you to be tuned in to yourself and relaxed. Here is a list of ways to care for and love yourself.